Oct. 17 marks the formal legalization of cannabis in Canada, a day that many industry stakeholders have prepared for and the beginning of the market’s evolution and maturation, according to Jay Wilgar, founder and CEO of Up Cannabis, a licensed producer in Ontario. Here, Wilgar describes Canada’s legalization journey, how Up Cannabis prepared for legal adult-use sales and how provinces’ transition from medical-only to recreational sales might play out. 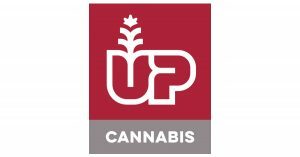 Cannabis Business Times: Can you provide an overview of Up Cannabis? Jay Wilgar: I started the company six years ago. The initial concept was to be a provider of medical cannabis within Canada. Quickly, we changed our strategy once full legalization was on the horizon, about two years ago, and started focusing on building brands and brand recognition. We are one of the licensed producers in Canada. 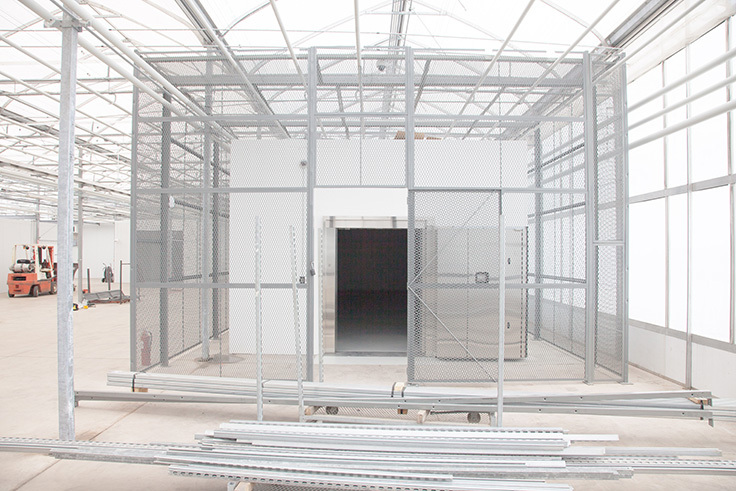 We have two production facilities here in Ontario, capable of [producing] about 40,000 kilograms a year—so, about 90,000 pounds of cannabis per year. We’re at about 170 employees, and we’re currently distributing starting [Wednesday] in five different provinces across the country. We’re a publicly traded company here, and obviously excited about what’s going on here in the next few days. It’s a little crazy, but exciting, for sure. CBT: What has been happening in the days and hours leading up to Canada’s cannabis legalization? JW: The biggest thing has been the media coverage. In our case, we hosted a large event in downtown Toronto last Thursday night to kick off our brand launch. It’s funny, I was driving to the office [this morning] and it was the first time I saw a lot of bus shelter ads from the government, reminding people about what was going on, reminding kids to stay away from it. So, there’s certainly a flurry of activity here on television, in the media, all the newspapers [and] on the radio. One thing we look at in this whole process is that [Oct. 17 is] a day, but we’ve been ramping up for this for two years now, and quite frankly, this process we’re going through in Canada is going to take some time for everybody to get used to. It doesn’t happen overnight. [Oct. 17], yes, is the first day, but there are going to be a lot of things that evolve over the next two years and beyond that are going to dramatically change how this industry works in Canada. It’s exciting. We view this as the starting line. We’re all at the starting line and tomorrow’s the first day of a very long race, so we’ll see how it all unfolds. CBT: How has Up Cannabis prepared for legalization and recreational sales? JW: We actually started shipping to the provinces about a month ago. So, you can imagine the flurry of activity around packaging requirements and excise tax stamping. We had to ramp up our hiring significantly over the summer to get people trained [and] get people understanding the processes required by Health Canada. It’s been an educational process not just for us, but also for all the government officials because it’s all new to them, as well. When you think of simple things like excise stamps or distribution channels and policing and all these things, it’s certainly been a ramp-up session. [We’re] certainly hiring a lot [and] answering a lot of questions for people about what this means [and] what product suite we will have. We spent the past three months hosting various music events across Canada, where we used that as an opportunity to educate people on what we were doing as a company and what products we were going to be offering, because the restrictions on promotion and advertising are pretty severe. Really, the messaging is done through getting people to sign up and come to our website and come to our live events. So, we’ve been focused on that. Being able to deliver products is the next key thing—getting actual product into the distribution hand of each one of the provinces has been a little bit of a challenge, for sure. CBT: In your opinion, how will the transition from medical-only to recreational sales roll out in the provinces? JW: Medical was done directly by licensed producers to patients through online ordering. So, the transition that’s taking place right now is from online ordering into physical retail stores. That transition is certainly going to take quite a bit of time. I’ll use Ontario as a good example. Ontario right now, as of tomorrow, has no retail stores. All the online purchasing will continue, and the actual physical stores won’t start showing up until sometime in the spring. That’s what I mean when I talk about it being a transition. Yeah, cannabis in Canada technically becomes legal [Oct. 17], but there’s no grand opening of a store that somebody can actually go to. They can go online and order it. So, the transition from the old medical system to the new retail distribution system is still going to take several months. That’s the misconception that some people have, that this all can turn around immediately. When you think of what’s going on, it certainly makes sense that it will take some time. Like with prohibition, it all didn’t change overnight. But everybody is certainly ramping up and all the provinces are gearing up for it. I think [Oct. 17] will be an exciting celebration, and then we’ll see how it transitions after that. CBT: Why has Up Cannabis invested in Canada’s cannabis future? JW: I see it as a tremendous opportunity to be a world leader in the cannabis sector. Without question, cannabis is becoming mainstream. It has been for a long time for a lot of countries in the world, but by making it federally legal and federally controlled and taxed, I think Canadian companies have a certain advantage when you look at what’s happening internationally. A lot of companies are looking to transition into legalization over time, and they’re certainly looking to Canada as a model as to how we did this. Even in the U.S., as you’re well-aware, it’s still federally illegal. There’s no federal system in the U.S. for tracking product and tracking growing like we do here through Health Canada. So, for us, it was a tremendous opportunity—I think one of the biggest business opportunities I’ve ever come across. CBT: What market trends will the company be looking for in the months ahead? JW: For us, the next key is looking at diversification of product offerings. Right now, we’re able to offer dry bud and pre-rolled joints, but as we move into new products—edibles, oils, vaporizer pens—we’re sensitive to what the market is going to see and making sure that we are able to deliver on supplying those products to our customers. That to us is the No. 1 trend. Second, [we’re] making sure that supply and the types of strains that customers want are available. There are so many strains out there. The ones we’re going to market with we think are mainstream ones that people want, but it’s making sure that we’re able to pivot quickly if and when the demand for certain strains changes. That will be interesting to see as the market rolls out—what are people wanting to buy, what are people using and what are people excited about? And making sure as a brand company, that we stay on top of that.